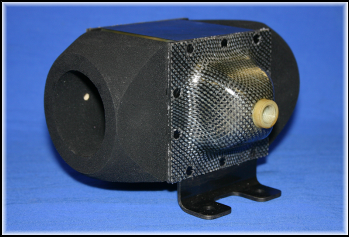 MII designs, develops, fabricates, and tests advanced composite heat exchangers for demanding aerospace environments. 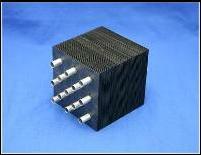 Heat exchanger products are designed and built for air-to-air, air-to-fluid, and for fluid-to-fluid requirements. 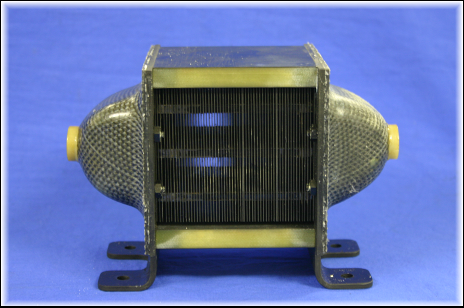 Thermally conductive composites and carbons up to 800 W/mK are used in critical heat exchange areas with low cost composites and metallics used elsewhere. 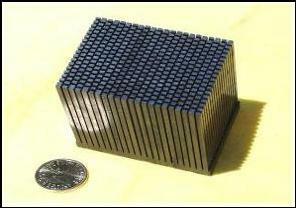 Modular construction is exclusively employed on all designs. 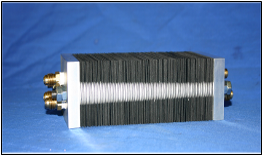 Hermeticity with assurance for leak free performance is paramount which predicates the design envelop for all composite heat exchangers. 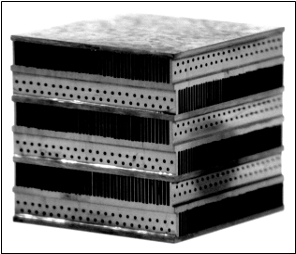 Advance composites with the correct design allows these heat exchangers to greatly exceed current thermal performance levels relative to metallic heat exchangers, while offering 20% to 40% weight savings.